Who do the college valedictorians quote? 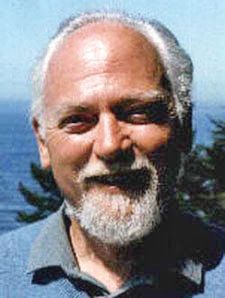 Robert Anton Wilson, of course. "The highlight, however, was my May 1996 graduation where, as a valedictorian, I stood under a canopy of oaks on a hot May morning, quoting from Robert Anton Wilson's essay 'Ten Reasons to Get Out of Bed in the Morning' and telling my classmates how critically they are needed. I truly felt like a child of the college, wanting to honor my 'parent' by doing her proud." The essay Clark mentions, one of RAW's more inspirational pieces, is reprinted in The Illuminati Papers. Oh that someone would have quoted RAW at the painfully boring graduation ceremony I attended last night!